The Lav Diaz film Hele Sa Hiwagang Hapis will be competing in the 66th Berlin Film Festival. 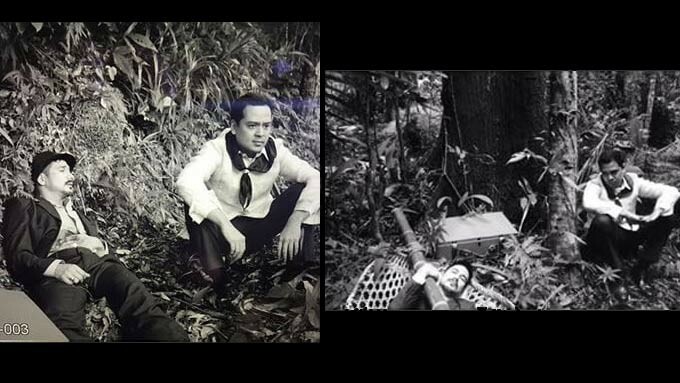 In this film, John Lloyd Cruz is cast as El Filibusterismo? ?s Isagani while Piolo Pascual plays Simon. Meanwhile, Sid Lucero is tapped to play Basilio, a character from Jose Rizal's Noli Me Tangere. Three-time Academy Award winner Meryl Streep serves as the jury president of the 66th Berlinale that is slated to take place from February 11-21, 2016. According to the official website of the Berlinale, this movie with the international title A Lullaby to the Sorrowful Mystery is a co-production of the Philippines and Singapore. Aside from John Lloyd Cruz and Piolo, this movie also stars Hazel Orencio, Alessandra de Rossi, Joel Saracho, Susan Africa, Ely Buendia, Bernardo Bernardo, Angel Aquino, and Cherie Gil. In a previous interview, Piolo said that he is glad to be given this opportunity to work again with John Lloyd since they last worked together in the 1998 TV series Sa Sandaling Kailangan Mo Ako. "More than the competition, it? ?s complementing each other and helping each other to make the scene work," said Piolo. Hele Sa Hiwagang Hapis is vying for the Golden Bear and the Silver Bears in Berlinale.